This is a clip for Renegades. Boasting an $80 million budget and based on true events, it was directed by Steven Quale and stars Sullivan Stapleton (Strike Back, 300: Rise Of An Empire), J.K. Simmons (Whiplash, Patriot’s Day), Ewen Bremner (Wonder Woman, Snowpiercer) and Dimitri Leonidas (Riviera). It will be released in the UK in cinemas and on demand from 5th January 2018, courtesy of Signature Entertainment. It will be released in the US on February 3rd. Check out the synopsis and trailer below. 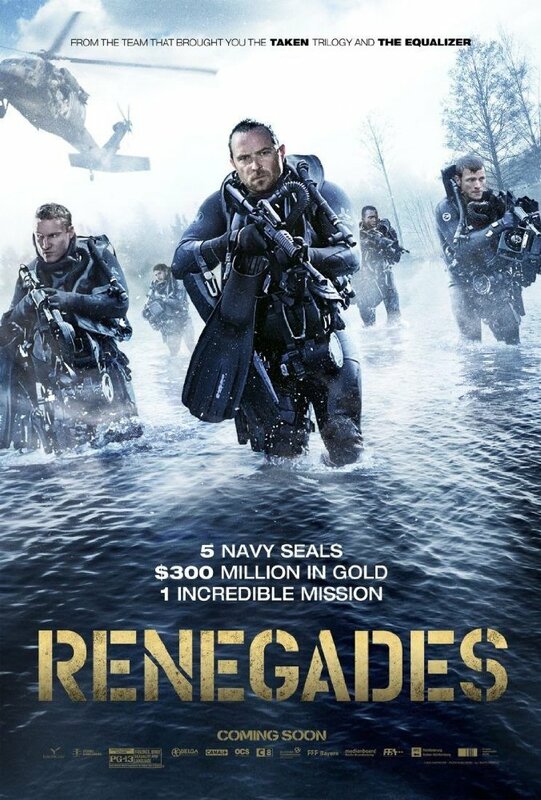 When a team of Navy SEALS on assignment in war-torn Europe discover a haul of stolen Nazi gold resting at the bottom of a Bosnian lake they see a chance to rescue the treasure and help out the impoverished locals whose lives have been ripped apart by conflict. As the modern day Robin Hoods attempt to right the wrongs of war, though, they are detected by ruthless enemies and an act of selfless valour becomes a desperate race against time, with the two sides prepared to stop at nothing.